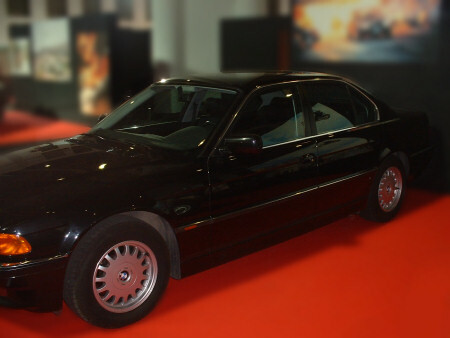 When 007 witnesses the purchase of a military GPS encoder by a known “techno-terrorist” while on assignment spying on a Russian arms bazaar, a missile attack is launched by the Royal Navy. However, before the missile strikes, it becomes apparent to James Bond that two Soviet nuclear devices are mounted on an aircraft and, with the missiles out of range, it is too late to abort the attack. 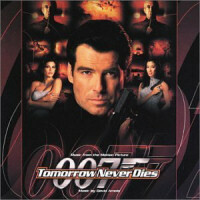 Bond is therefore forced to hijack the aircraft in order to get it out of range of the blast but thereby letting the GPS device fall into the hands of media mogal Elliot Carver who plans on provoking a war between the UK and China to install a new Chinese government that would give him exclusive broadcasting rights for his satellite broadcasting empire. In Carver’s first attack a Royal Naval vessel is tricked into venturing into Vietnamese waters using the GPS encoder where it is sunk by Carver’s stealth ship. Carvers men then shoot down a Chinese jet sent to investigate, and murder the ships survivors using Chinese weapons. 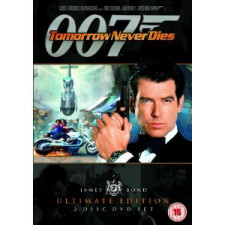 Carver’s news channel immediately reports the incident as an attack by the Chinese on a British vessel and with a possible Royal Navy retaliation on the cards 007 has 48 hours to uncover the truth. The pre-titles sequence does a fairly good job, although overlong. However, the main problem with the film is that it is difficult to follow and the villain’s motivation is just not plausible. One for a rainy day… a very rainy day. 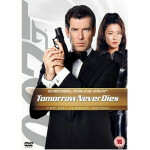 Read more about the Tomorrow Never Dies soundtrack or buy it online.